A statement released by the singer's representative said her wedding to Willie Wilkerson wasn't going to happen. "Will and I have decided we were moving a little too fast, and there were a number of things that had not been thought through thoroughly. 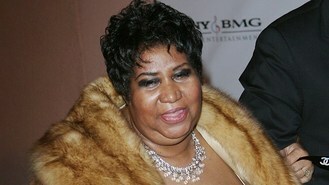 There will be no wedding at this time," Aretha said. It's unclear if the pair are still romantically involved. Aretha, 69, announced shortly after New Year's Day that she was getting married. In an interview with The Associated Press, the jovial Queen of Soul talked about getting fitted for gowns by designers including Vera Wang and Donna Karan, and said she hoped for a summer wedding in either Miami or the Hamptons in New York state. Aretha said the relationship was particularly strong because they had been friends first. "We're very compatible, and he supports me and I support him a lot, and he has given me specialised attention that I don't think I've received from anyone else," she said.